Aims - to encourage, promote and foster the advancement of grassland farming in New Zealand. The Trust was inaugurated in 1964 as the Grassland Memorial Trust, to commemorate the efforts of exceptional grassland pioneers, such as A.H. Cockayne, Sir George Stapledon, Sir Bruce Levy, researchers Dr Peter Sears, Lionel Corkill, Dr C.P. McMeekan and Dr Ray Brougham, and farming leader Dr R.A. Candy, each of whom contributed significantly to build New Zealand’s pastoral farming industry. The name was changed to the NZ Grassland Trust in 2001. 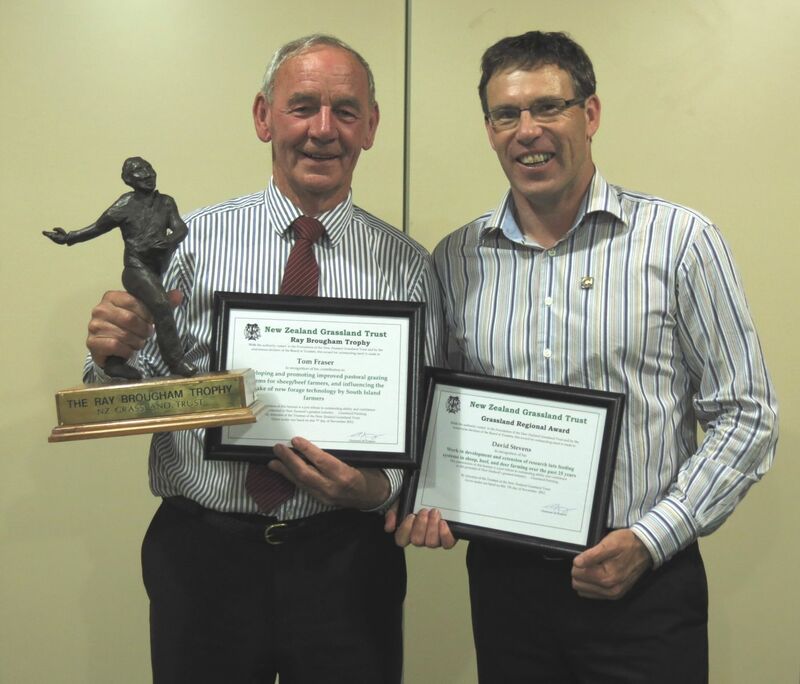 Each year the Trust awards the Ray Brougham Trophy to a person associated with the pastoral farming industries who has made an outstanding national contribution over their working career. This was instituted in memory of the Dr Ray Brougham, Director of DSIR Grasslands 1970 – 1985. The Brougham family donated a bronze statue of a seed sower to the Trust, which is presented annually. 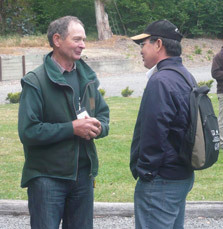 Nominations are to be sent to Bruce Belgrave by 1st of March each year (bruce.belgrave@grasslanz.com). Nominations are to be accompanied by a 1 page bio. The 2018 Winner Tony Rhodes for his contribution to pastoral farming through his career as a farm consultant. 2017 Winner was Dr Ants Roberts for his contribution to soil science, specifically communication and extension. 2016 Winner - Prof Derrick Moot for his dedication to dryland research and particularly lucerne. 2015 Winner - Dr Alec Mackay, for his contribution to soil science and the research and development of hill farming systems. 2014 Winner - Dr Stewart Ledgard, Agresearch, Ruakura for his extensive contribution to soil fertility, environmental research and management in New Zealand’s pastoral agriculture. 2013 Winner - Dr Syd Easton, Emeritus Scientist at AgResearch, for his contribution to 40 years of science and leadership in forage breeding and endophyte technology. 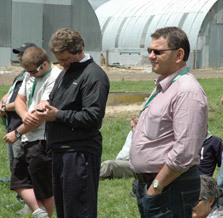 2012 winner - Tom Fraser, AgResearch who is well known to many famers around NZ for his presentations on forage systems. This award was introduced in 1997 and is made to an appropriate person, living in the region where the annual NZGA Conference is being held. It recognises exceptional effort above and beyond the normal career contribution that supports the regional pastoral agricultural industry, be it technology development or an aspect of farming itself. 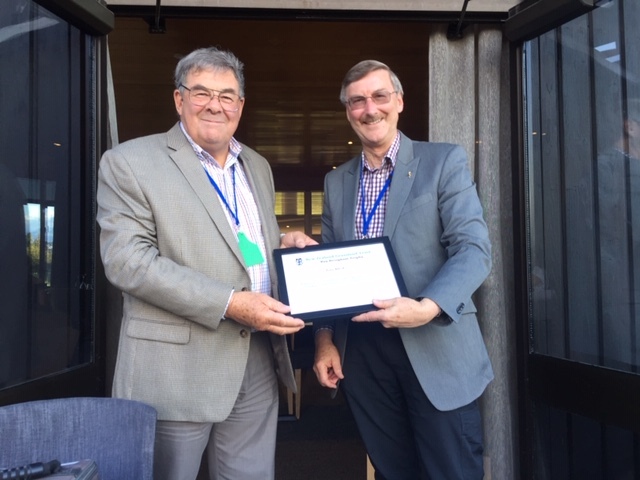 2015 Award - Chris Garland, Baker and Associates, in recognition of his commitment and contribution to extension and consultancy services in the Southern North Island region. 2014 Award - Aaron Meikle, Beef+Lamb NZ for extension services to farmers and cural Communities in the Central South Island Region. 2013 Award - Martin Hawke in recognition of his commitment to continue servicing the field research needs of the BOP region; and the robust and accurate way he has conducted his work over many years. The 2012 award - Dr David Stevens, AgResearch, for his 30 year contribution to the sheep and deer research and extension onto the farm in Southland. Each year the Trust makes two awards, for excellence in grassland farming, to enterprises within the Annual Conference region. Nominations are solicited from individuals, consultants and relevant organisations in the host region, and are usually the farm-owning partners, but can be managers or sharemilkers. The NZGT judges make award decisions before the Trust's Annual Meeting, held every August. Good grassland farming - an impressive, profitable grassland-based business, run for at least five years on the property. Innovative approach - using the latest grassland technology effectively. Sustainable management - a good degree of sustainability in the enterprise and a strong responsibility for environmental matters. Communication skills - passing on good grassland farming skills to others in the region, and including local community activity. Each winner receives a framed certificate and five years' NZGA subscription, to enable them to accumulate the latest grassland information through the NZGA Annual Conference and its papers. The NZGT Levy Student Scholarship commemorates the lifetime efforts of agricultural science pioneer, Sir E. Bruce Levy, in developing and communicating grassland science at the old Plant Research Bureau, later DSIR's Grasslands Division, and currently part of AgResearch in Palmerston North. The Levy Scholarship is an annual scholarship offered by the NZGT for one suitable student from Massey University, and one student from Lincoln University embarking on the second year of a Bachelor of Agriculture Degree or a Bachelor of Applied Science Degree in the agricultural area. Each scholarship is for $3000 over one year. Applications from second year students are invited each year, to be lodged by 7 March (Massey applicants) or 31 March (Lincoln applicants) each year. Instructions on how to apply for application forms are given on university websites under "Levy Student Scholarship". For further information about the New Zealand Grassland Trust please email the Secretary/Treasurer, Bruce Belgrave.